Van Wyk Wood Builders is a locally owned and operated business based out of Grinnell, Iowa. Purchased by the Van Wyk family in 2000, it is currently owned by mother-son team Sharon and Shawn Van Wyk. Our goal is to efficiently construct quality wood buildings for our customers, whether it is one of our standard models or a custom-built project. Shawn’s background in homebuilding means your cabins and sheds are built to last, and our hand-picked lumber ensures a wood building that is both sturdy and aesthetically pleasing. We are proud to call ourselves Iowa wood builders who serve our local communities. 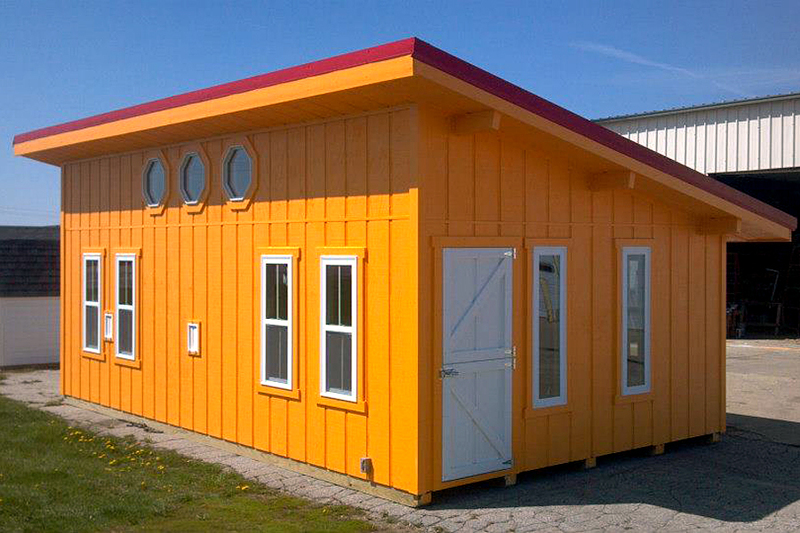 Call 641-236-3070 to learn more about how we can help you meet your storage shed or cabin needs. A 36-month lease-to-own plan is available through our financing partner. Three months are due up front and you’ll pay 33 more equal installments until you own the building. Download our financing brochure to learn more.